This gorgeous 2-story, 4 bedroom, 3.5 bath + den is located in the beautiful community of Stetson Valley. It sits among the gorgeous desert landscape with amazing mountain views. The home is in immaculate condition with a clear pride of ownership. It offers all the upgrades…GRANITE, TILE, gas range, appliances, fans throughout, surround sound, R/O system, soft water, alarm system, custom lighting. It has a den on the main with all bedrooms upstairs. The upstairs offers a huge loft for an additional family room or entertainment/game area. The upstairs bedrooms are oversized with walk-in closets. One bedroom upstairs offers it’s own en/suite bathroom. The master bedroom is beautiful with plenty of room and a very nice bathroom. Home within walking distance of green space and a fun park. Directions: Happy Valley Rd to 51st Ave. North on 51st Ave to Inspiration Mountain Pkwy. Turn left on Inspiration to Molly Ln. Right on Molly to 56th Drive. Left on 56th to Tombstone Trl. Right on Tombstone. Approximate size: 8400.00 sq. ft. Please, send me more information on this property: MLS# 5880526 – $449,900 – 5605 W Tombstone Trail, Phoenix, AZ 85083. 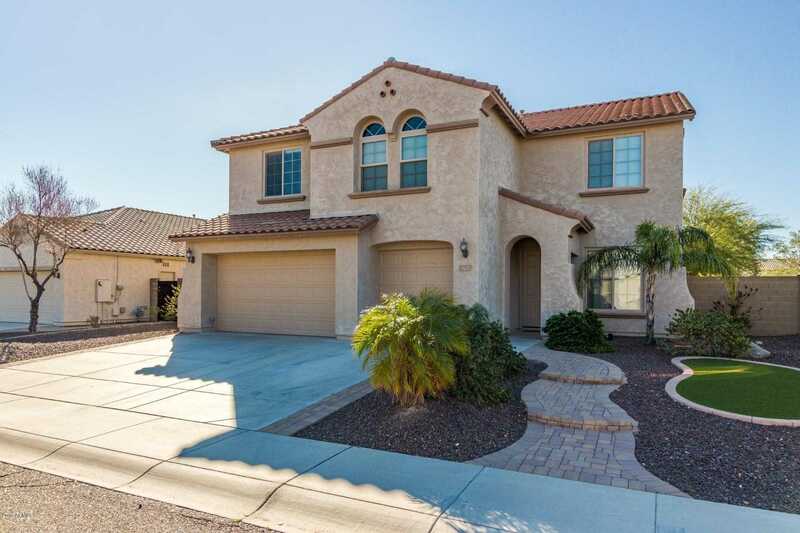 I would like to schedule a private showing for this property: MLS# 5880526 – $449,900 – 5605 W Tombstone Trail, Phoenix, AZ 85083.